PreCheck is currently available at 200+ airports. The good news is that most people will be flying out of a major airport and will most likely have the TSA PreCheck lines. 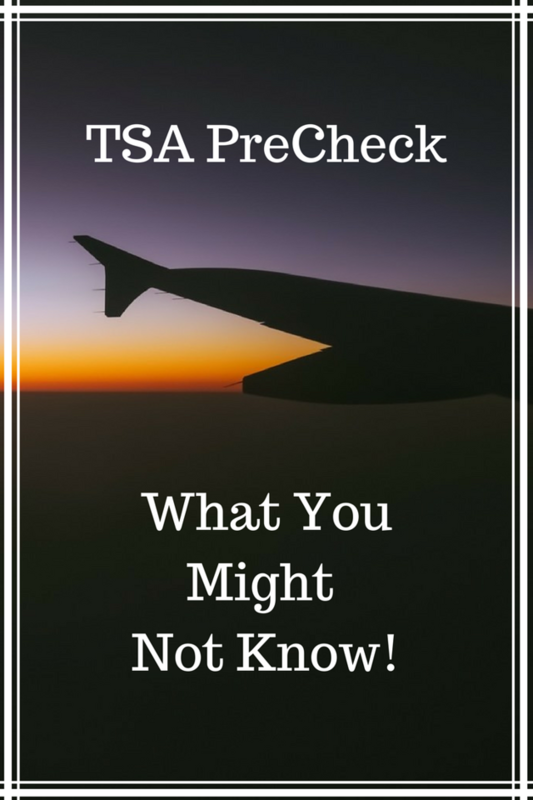 Keep in mind TSA PreCheck locations are only at US airports and territories. The program currently allows approved flyers on the following airlines to use the TSA Precheck lines (some of these may not be at every airport). What about the airlines that are not listed…sorry…at least for now you cannot take advantage of you Precheck membership. I am seeing this list grow bigger and bigger so chances are it will happen in the future. My KT what? Your KTN is your Known Traveler Number. Make sure that you have this piece of info listed on your itinerary or you will definitely be stuck with being in the regular TSA lines. Your KTN will be listed on your Global Entry, TSA PreCheck, NEXUS or SENTRI membership cards. For any travel that you already have booked I would recommend calling the airline to make sure that your KTN is listed on the itinerary and while you have them on the phone you can also verify that it is on your profile so it will automatically be added to future itineraries. Unfortunately, when there are very few TSA PreCheck people traveling TSA will sometimes shut down these lines. That being said if you are at a major metropolitan airport you probably won’t see this too much because there will probably be lots of people using the program. Before heading to the airport you can check TSA website: TSA PreCheck Schedule to see which lanes should be open. If the TSA PreCheck lane happens to be closed when you arrive, show your TSA PreCheck boarding pass to receive expedited screening in a standard lane. If you are traveling with family members that are not enrolled in the program, then you will have to separate or you can all go thru the non tsa precheck lanes together…they cannot go thru TSA Precheck with out. Now there is one exception, if you are traveling with a child who is 12 or under they CAN go thru TSA with you. So there are a few things about the program that could be a pain, but considering the cost really is not that high over the course of 5 years and there are some pretty great benefits, I definitely think it is worth it! Between a shorter line, not having to take my shoes off and take all my stuff out of my bag…worth every penny! And just like that you’re on your way…now check out 9 Ways To “Survive” A Long Haul Flight! What are your thoughts about the program? Love it? Hate it? Best thing since sliced bread? LOVE THIS POST? SHARE IT ON PINTEREST!! Wow, that’s a good list. I have been learning about this. I need to get this before I start traveling. While I am no stranger to it, and use my Priority access to zip through the security line, this is an additional benefit I want in case Priority doesn’t apply. Like you said, it’s not always available here and there, same for other means. Glad you found the list helpful! My TSA PreCheck will be fully approved this week and I am pretty excited to try it out next time I travel. The lanes are never open in NYC, and if they are they just add regular passengers to them. I’m waiting until I wait in security more than 10 minutes, and then I will pay for it. Hasn’t happened in years.